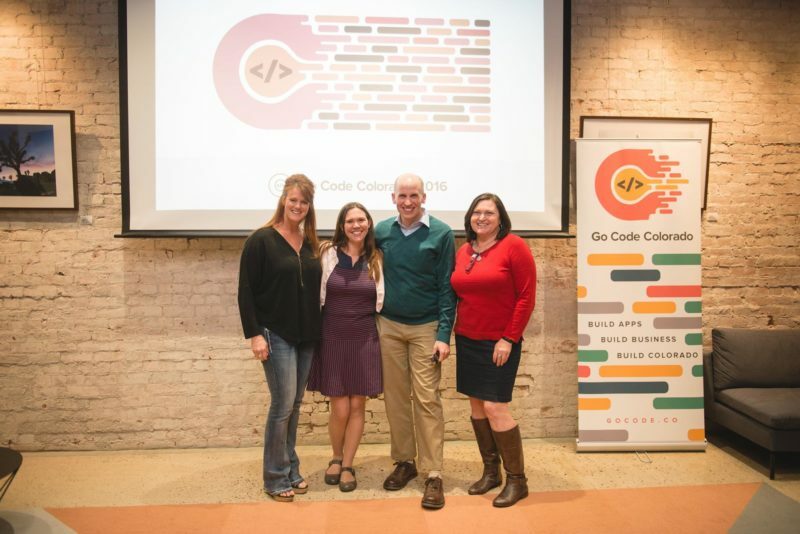 Last year, I competed in Go Code Colorado, a combination business startup and app development competition hosted by the Colorado Secretary of State’s office. This weekend is “challenge weekend” for the annual competition, so I thought I might share my experience and thoughts about Go Code Colorado, one year out. What is Go Code Colorado? 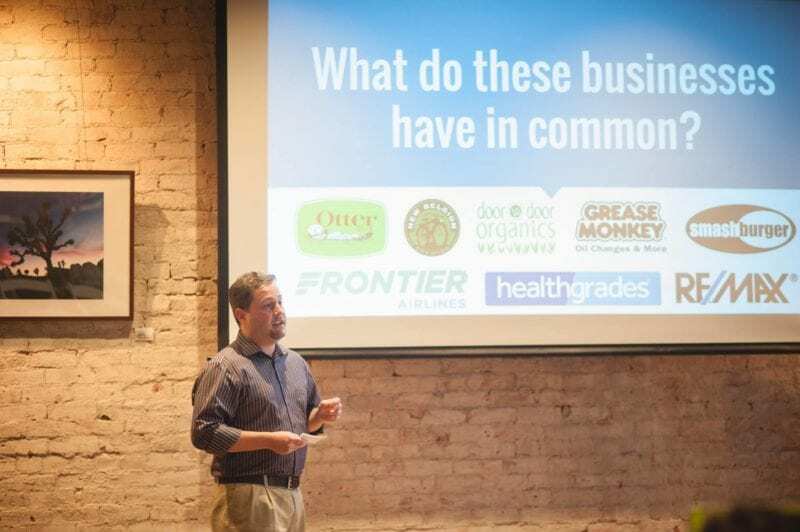 Now in its fourth year, the competition is an innovative way that the State of Colorado supports businesses and new business development while encouraging the use of open data. In February of every year, the Secretary of State’s office announces a challenge statement to guide the competition. Both last year and this year, the challenge statements were fairly broad. This year’s challenge is simply to build an app to solve a problem for a business decision maker. The app has to use open Colorado data and must be part of a feasible business plan. 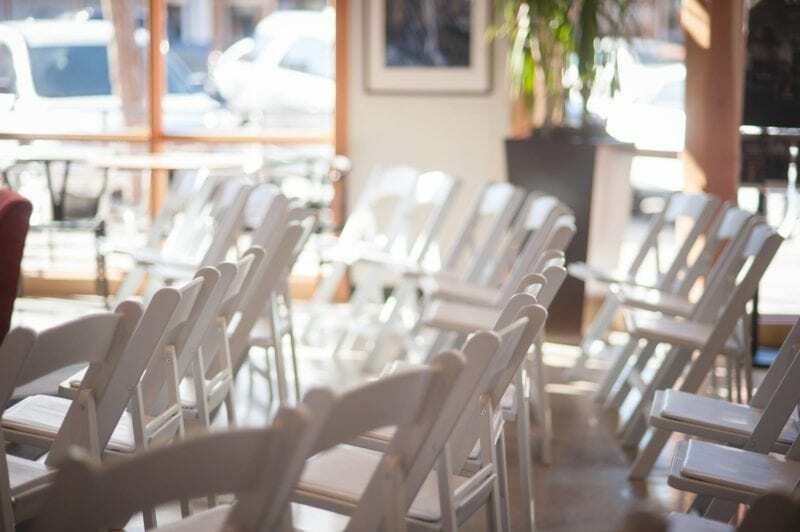 Following the announcements of the challenge statement, kick off events and roadshows to build excitement are held in five cities across the state: Denver, Fort Collins, Colorado Springs, Durango, and Grand Junction. Then, during the first or second weekend of April, teams gather for a weekend of planning and initial development work. Sunday evening of challenge weekend, teams compete with 5 minute pitch presentations for the opportunity to move on to a state-level final competition. 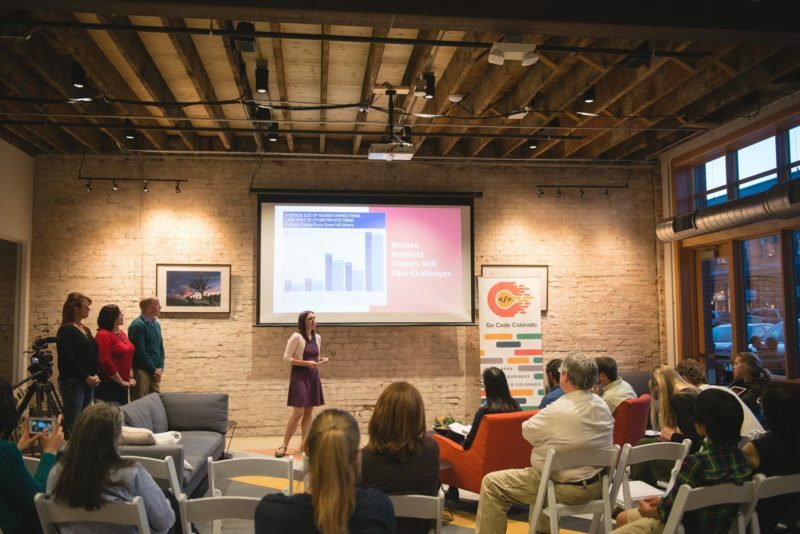 Two teams from each city are chosen to go on and compete in Denver at the end of May, where the top three teams are awarded $25,000 to make their app and business idea a reality. Between challenge weekend and the final competition, the top teams from each city are all brought together for a mentor weekend in Boulder. The state pays for travel expenses, and brings together experts in app development, data, business, startups, and pitching to guide the teams in refining their concept and pitch. New last year, teams not only had to work on their pitch leading up to final competition, but also had to have a working minimum viable product available for review prior to final judging. This video provides a good overview of the event and also helps to build excitement for teams from Fort Collins. In prior years, I had thought about competing in Go Code Colorado but hadn’t participated for one reason or another. Last year, I decided in January that I was going to participate, and when the challenge statement was announced in February 2016, I quickly found a team and started working. Why did I participate in Go Code? First of all, it sounded like fun. I’ll admit, I very much enjoy the startup process and everything that goes into the early stages of coming up with a business idea and making it a reality. Second, we were in the early days of our rebrand for Road Warrior Creative, and Go Code seemed like a great opportunity for us to get some extra blog and/or social media fodder. Third, $25,000 is a pretty nice incentive. Coming from a background where all of my business (and nonprofit) ventures have been completely bootstrapped, the possibility of having funding to take something further faster was really appealing. And, finally, Chris and I were hoping to build an app that would create more recurring passive revenue than is possible in our current purely service-based business. I went all out at challenge weekend. Somehow, I found myself on two teams for challenge weekend. Chris and I teamed up with my friend David to pitch an idea for an app that used data to help prospective business owners name and create a marketing plan for their new ventures, and I also joined a team organized through AWE and Girl Develop It, that was focused on helping women owned businesses. Working on two ideas meant I was contributing to two teams both before and during challenge weekend. Because there wasn’t the same requirement for creating an MVP, and because I only gave the pitch for one team (Chris gave the pitch for the other), being on two teams wasn’t too bad for challenge weekend. It was a lot of work, and I worked long hours and late nights during that Friday-Saturday-Sunday, but it was manageable and also a lot of fun. 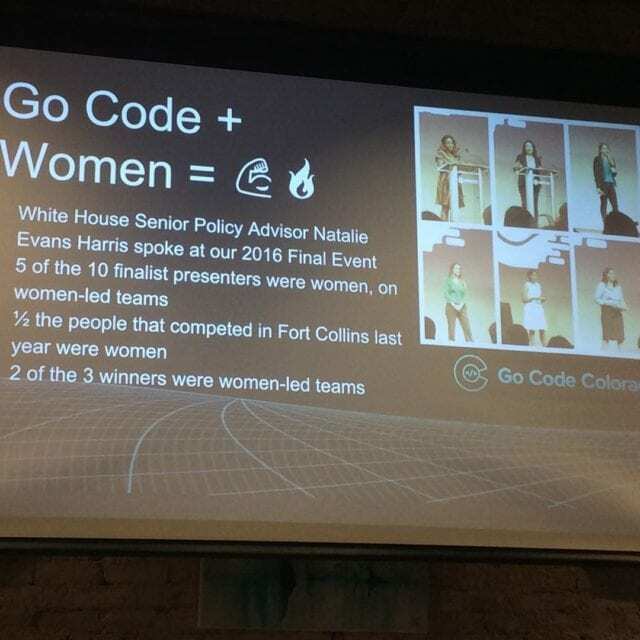 I joked that I was hedging my bets and improving my odds of moving on, and at the end of the weekend, it paid off when one of my teams, the one focused on women-owned businesses, was selected to move on to Go Code Colorado’s final competition. Work up to final competition was intense, and as my team prepared for it, I found myself really glad that only one of my two teams was moving forward. I was also especially glad that it was not the team that included Chris, for reasons I’ll get into in a bit. Mentor weekend in Boulder was fun, interesting, and challenging – the mentors and leaders of Go Code gave our team a lot to think about. We made a huge pivot both in the solution we were providing to female business owners and in the way we were talking about our use of data, which I think made us a lot stronger from a competition standpoint. Mentor weekend also gave me a few takeaways that were relevant to Road Warrior Creative, too. It was, overall, an incredibly valuable experience, but it was a whole weekend, Friday night through Sunday evening, which would have been impossible for both Chris and I to attend considering we have no family in the area or anyone to help care for the girls for that length of time. Working to refine a pitch and concurrently develop a minimum viable product in the month between challenge weekend and final competition also took a lot of time. After mentor weekend, we lost one of our team members (who realized she didn’t have the time to commit to Go Code), which made us a three person team. I looked back at my time tracking software and in that time, I spent over 162 hours working on Go Code Colorado related stuff. We worked our behinds off preparing for final competition and though I felt a little nervous, I also was fairly confident in our pitch. 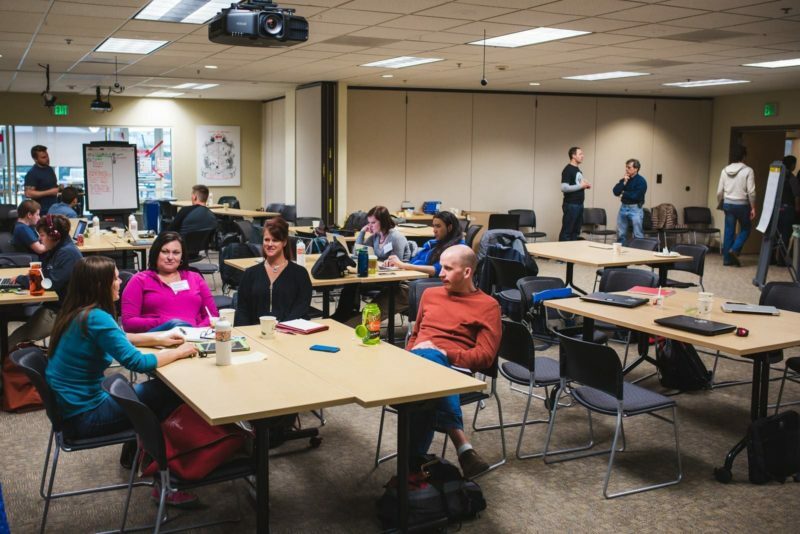 Not only had I practiced a lot with our team, but we also did a practice session for a random group of people from a couple of different meetup groups in Fort Collins, which gave us (and me) a ton of great feedback. As you can see, we went from just creating a consumer-focused app that genders and maps women owned businesses in Colorado, to also creating a membership site that would provide resources to help women-owned businesses grow. That meant we built and submitted two different apps for review. You can see the beta version of the map/directory site, Shop Women Owned, here. It’s pretty much exactly the way it was when we submitted it for initial judging last May (funny bugs and all). Our lowest score was in “innovation,” which judges whether or not the app concept was new and different. I’m not sure how we could have better communicated that we created a new data set which didn’t previously exist, or how our resource site would be different from others that are out there. Conveying all the information we have to convey is very challenging in 5 minutes. Beyond that, I’ve resolved myself to the fact that we may have lost Go Code before I even got up on the stage to pitch. A lot of the feedback that we received during mentor weekend was critical of the very core of our idea – that we were building something only targeted to female business owners and “excluding” men – and I found myself wondering how much that also echoed in the final judging. I don’t think we really could have improved the innovation score much without completely changing our concept, problem, and solution, and ultimately that score is what lost it for us. From start to finish, Go Code is an incredibly well-organized event with a great mission behind it. Encouraging use of open data and helping to fund new innovative businesses is exactly the sort of thing I want my government to be doing. Everyone involved in organizing or helping to run the event is enthusiastic and supportive, and I think this program is an incredible asset to our state. 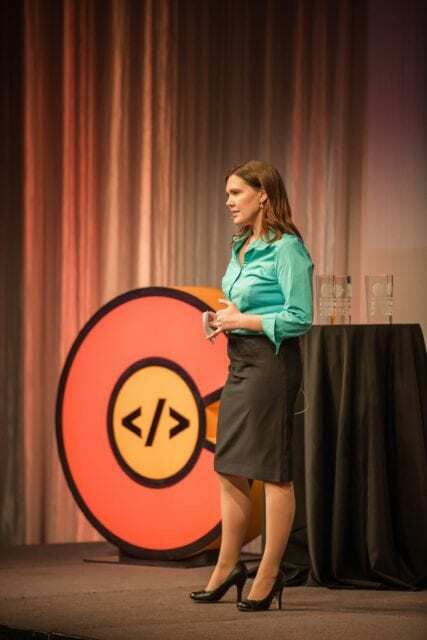 I enjoyed doing Go Code Colorado. It was fun and challenging in a good way – it really got me thinking about data and business problems in ways that I previously had not, and I also learned a lot about giving a pitch that will surely benefit me in the future. I also really, really enjoyed getting to work with my team members, Gretchen and David, who have become great friends through the experience. It’s an experience I wouldn’t give back. I’m glad I participated in Go Code Colorado and feel lucky to have been able to experience it all the way to final competition – BUT I’m not sure that I would ever do it again. I’m not sure I would ever participate in Go Code Colorado again, and I’d only recommend it to others with big caveats. 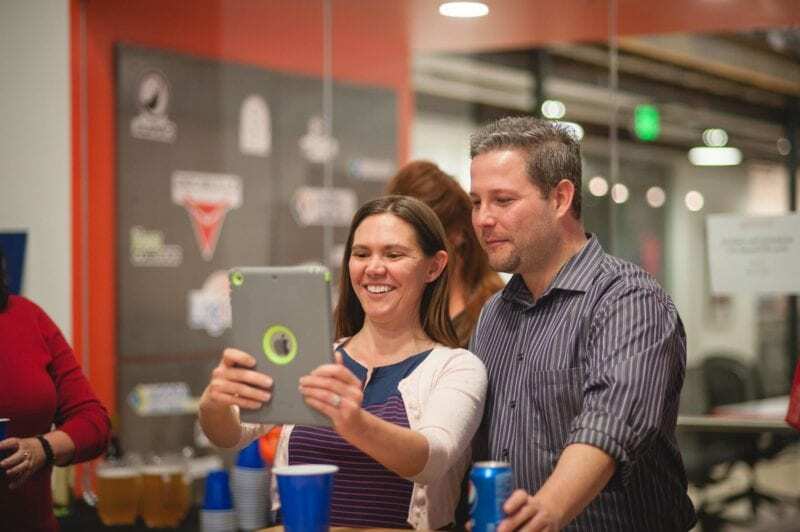 If you own your own business, you may not want to participate in Go Code Colorado. Last year, Chris and I were very much in startup mode with our business. I mentioned above that I spent over 162 hours working on Go Code Colorado related stuff…and we didn’t even win. That’s 162 hours that could have been devoted to my business – that could have gone towards growing a sure thing instead of the “gamble” that is trying to win funding through a competition. 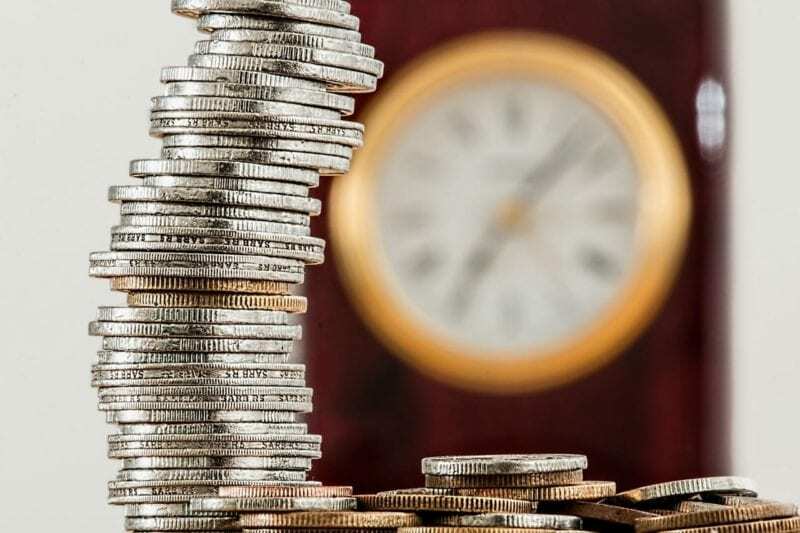 Granted, if we’d won I might be singing a different tune about the time investment, but for any entrepreneurs who are already running businesses, I do think the time investment is worth keeping in mind. Ask yourself, is this time better spent growing my existing business? With last year’s additional requirement that all teams have a MVP (minimum viable product) prior to final competition, it significantly increased the time requirement on teams – especially smaller teams with less people to share the workload. Perhaps a better means to their desired end would be awarding points within the judging criteria to teams with individuals who already have a track record of success in business ownership? 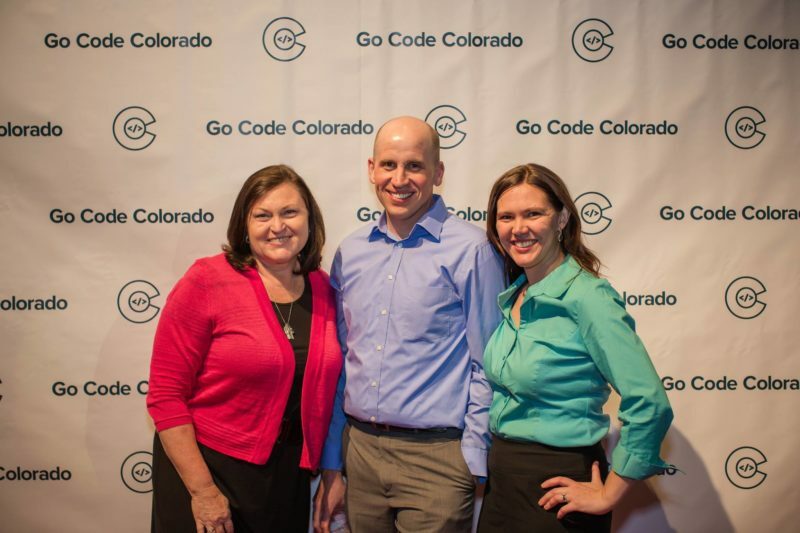 The major time investment that is participating in Go Code Colorado is not just challenging for business owners – it’s also challenging for parents, especially mothers. Challenge weekend in and of itself is manageable, if only because the rules don’t require all members of the team to be there all weekend, so theoretically any parents on a team could spend less time at the challenge weekend site than their teammates. 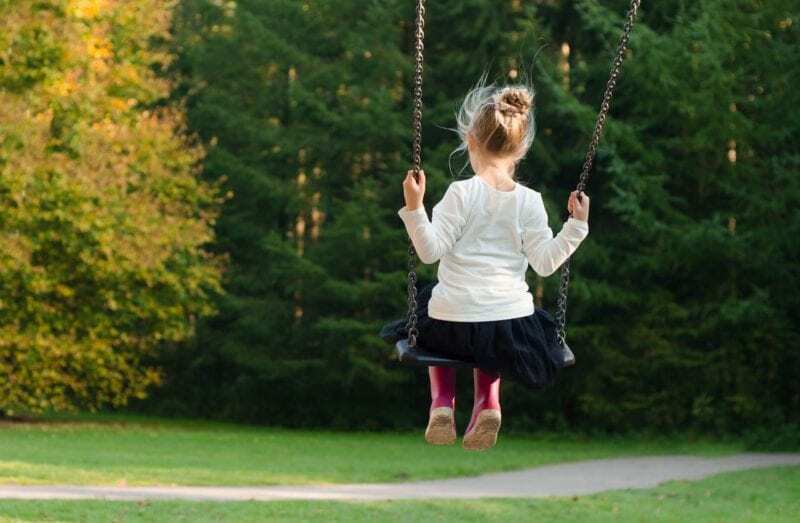 Participating with a partner makes things especially difficult, though – Chris and I had a very hard time finding a babysitter except for a few hours Saturday and Sunday afternoons, which meant there were limited times each day that we could both be onsite. 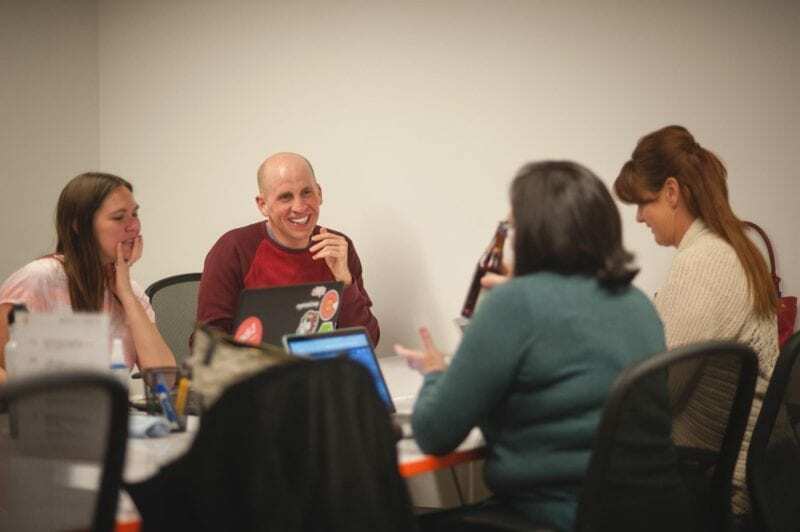 Even if we could have had greater coverage for the weekend, we have to ask ourselves if it’s really good for our children to spend a whole weekend with babysitters so their parents could do Go Code Colorado. Not to mention, hiring babysitters for multi-hour stretches twice in one weekend meant that we had to invest not just time but also money into Go Code. We spent over $200 on childcare that weekend. Attending challenge weekend might be possible for parents, but attending mentor weekend could very well be a different story. Not all parents are able to or feel comfortable leaving their kids for an entire weekend. When you’re working all day and often late into the evening/night on weekdays, weekends are about the only time that you get to spend with your kids. And that doesn’t even get into the layer of complexity that would be present for a nursing mother of a baby or toddler who may not be able to spend long days and nights away from her little one. Ask yourself, is Go Code Colorado worth the time I’m giving up with my children? Besides the time spent at events, there is also the time spent working on the app and pitch, in addition to whatever work you’re doing as part of your day job. In the same time span that I was doing Go Code Colorado, I also clocked just over 322 hours working on Road Warrior Creative. That means I was averaging 70-80 hours of work per week between the two. It was exhausting and overwhelming, and I spent almost no time with my daughters. I was working nights and weekends trying to keep my business running while simultaneously trying to create a winning product/pitch for Go Code, and I felt like a horrible mother. The lowest moment was a week before final competition when I lost it in the car on the way to Zara’s school’s end of the year picnic, for which we were late. I didn’t want to go, but felt like I’d already been gypping the girls on so much time in favor of work or Go Code, that I tried to rally to do something that would be fun and special for Zara. Of course, rallying was easier said than done. I had been up working into the wee hours the night before, then worked all day and barely managed to throw together something to share for the potluck when we should have already arrived. When I got lost driving there, I couldn’t contain it anymore and literally started sobbing in the car. Balancing Go Code with everything I had to do as a business owner and parent was hard. I’m lucky to have a partner who was willing to keep our family running while I work-work-worked, but there were lots of sacrifices made all the way around by everyone in our family, and I’m not sure I could recommend the competition to other parents without mentioning that. So who is Go Code Colorado good for? I do regularly tell people about Go Code Colorado and suggest that they participate. Who do I think should participate in Go Code? People who don’t own a business already. People who don’t have young children at home, or who don’t mind giving up time with their kids. People who just work a day job or who are students, and are relatively commitment-free in the evenings and on weekends. What does this typically mean? It means people in their twenties and it often means men. Go Code is doing their best to encourage women to participate. They ran a roadshow in Fort Collins this year just for women in tech, and have been talking about the number of women who are participating and on finalist teams. It’s an admirable goal to increase female participants, but with the necessary time commitment for anyone who wants to win, I think it will always be hard for them to achieve an even 50/50 split of participants. It’s just too hard for mothers, who are more often than not the primary caregiver and homemaker, and excluding mothers means there will always be a large gap in women participants aged 25-40. This is especially likely given there is already a significant gender gap in tech. 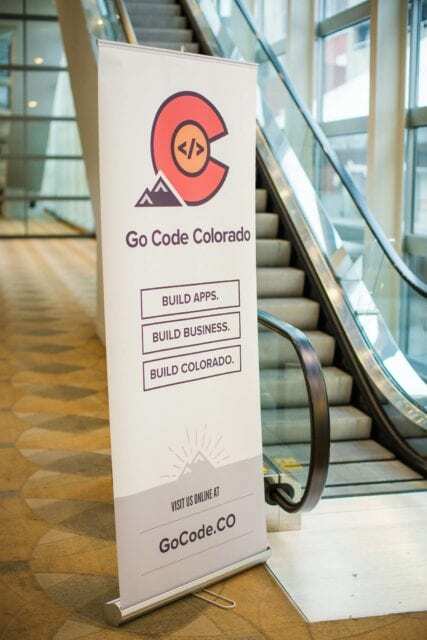 I’m not entirely sure what the solution is for this for the organizers of Go Code Colorado – there may not be one and it just might be a reality of programs like this with significant time commitments. It’s worth saying again that I loved participating in Go Code and thought it was a great experience even without winning. Perhaps someday when my family commitments are fewer or the business is running more smoothly on its own, or if I get a really good idea, I would do Go Code again. In the meantime, I’ll enjoy cheering for other people’s teams from the sidelines.